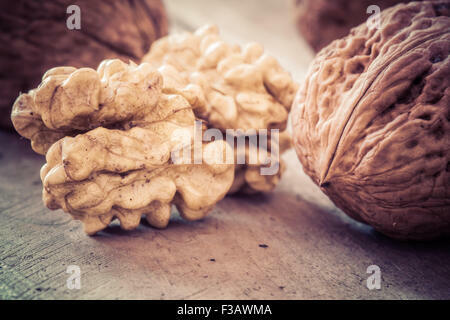 Walnuts on wooden table in the kitchen. 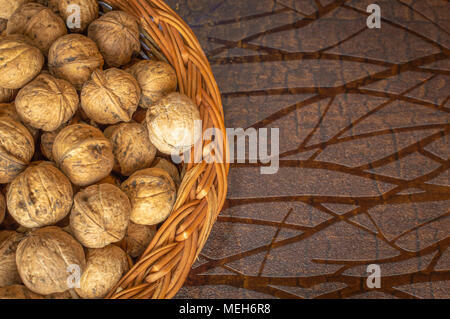 Walnuts in the wooden bowl on the table. 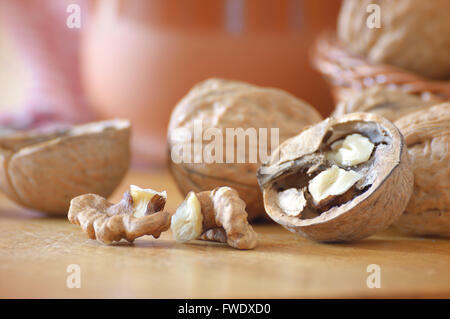 Different types of nuts in the nutshell. 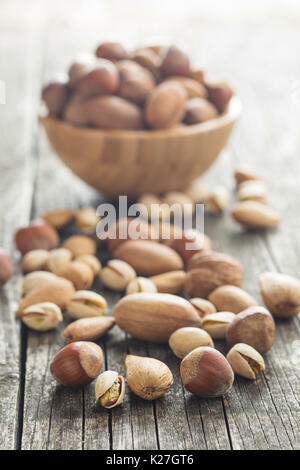 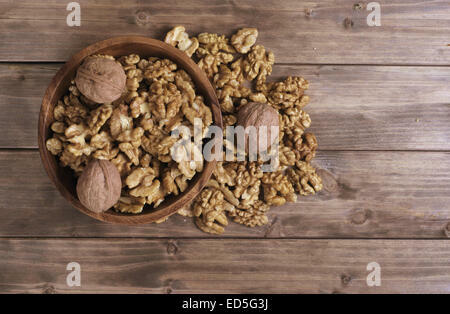 Hazelnuts, walnuts, almonds, pecan nuts and pistachio nuts on old wooden table. 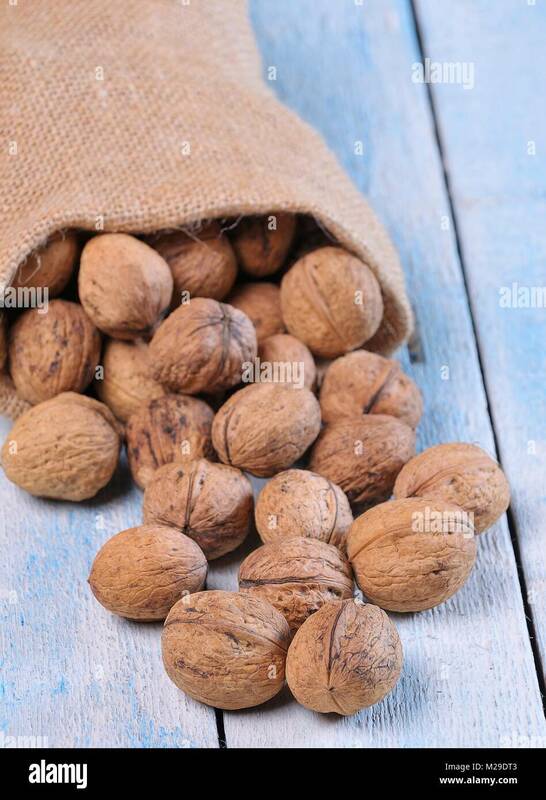 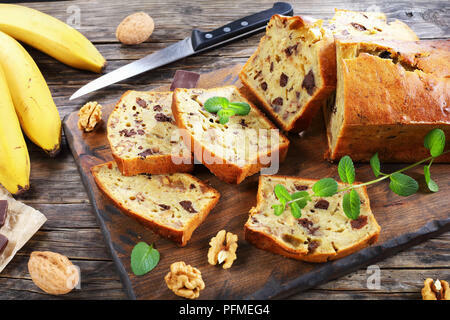 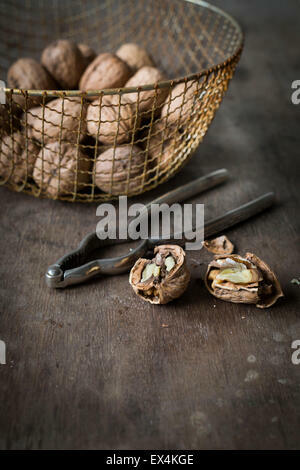 Some walnuts on a wooden table in a rustic kitchen. 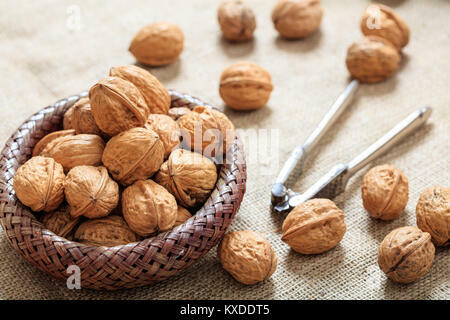 Empty copy space for editor's text. 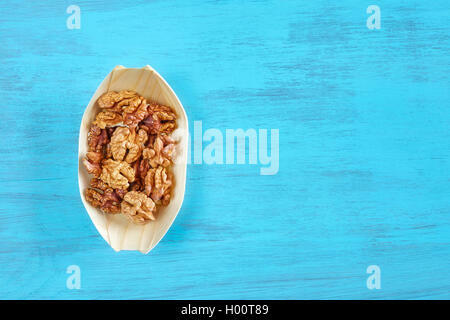 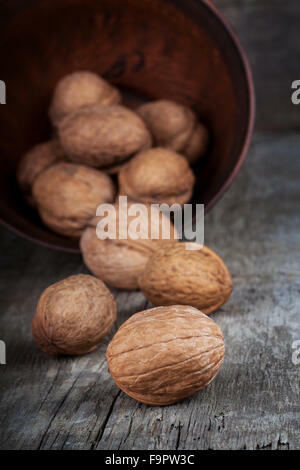 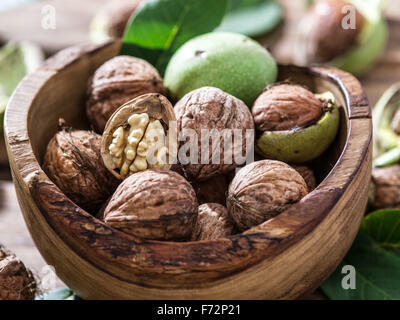 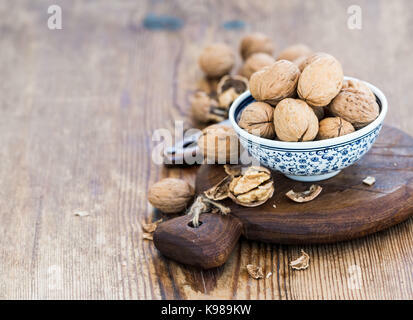 Walnuts in a wooden bowl on a rustic table, space for text.